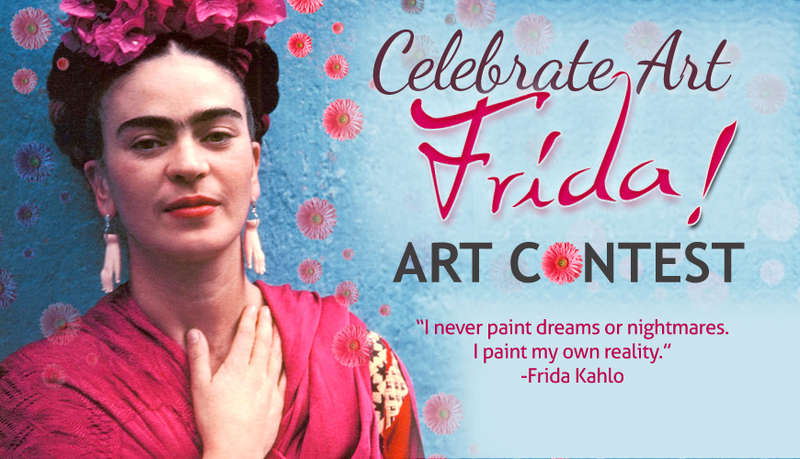 Every now and then we have a Frida art contest. Sign up for our newsletter to be notified of the next one. Based on interest for this, we will do another one this year! The last one we had includes the following artists – take a look at their Frida paintings! They are amazing! Click to see famous portraits of and by Frida. Click here to discover three of Frida’s most compelling paintings. If your company would like to sponsor this art contest and have your name as a sponsor on our Facebook page, this website and email marketing contact us. Sponsorship levels start at 25.00 for things artists love. Artist gift cards, Amazon gift cards and more.